As I was a little overwhelmed by sleep deprivation and a slew of emails coming through regarding this band and that band, I sort of fell behind. As is usually the case when I’ve accrued a number of artists to promote, I’m compiling them all into one large entry that, hopefully, won’t be so large that it’ll wind up casually eschewed. I think there’s some good music to check out here, so take a listen/look. This is part 1, by the way, so consider this the Deathly Hallows of blog entries. Brian John Mitchell, the head of independent label Silber Records, sent me notice regarding a Russian shoegaze/drone band named, Thorn1. “Drone,” as it’s so appropriately titled, is isolating and drenched in reverb. It’s also rather lush and nice to listen to. 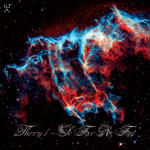 This track is from Thorn1’s latest album, So Far As Fast. Check here for more information. 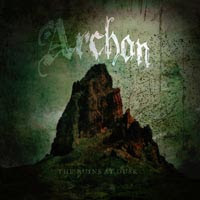 Archon: "Helena (The Ruins At Dusk)"
A while ago, (and for that I apologize, Andrew), bassist and part-time vocalist, Andrew Jude, wrote to tell me about his band, Archon, whose sludgy chords and percussive strike hits full on like Electric Wizard and even Sabbath to some degree. Their LP, The Ruins At Dusk, is available for digital purchase and perusal at their website. Click on the song link to get more info. "Helena (The Ruins At Dusk)"
Well over a month ago, I posted Tyvek’s ”4312,” the first single off their upcoming album, Nothing Fits. There’s a new single to share via Stereogum. As Detroit continues its seemingly irreversible slide into the tar pits of economical despair, new traditionalists Tyvek have unashamedly taken the reins and harnessed the ambition to keep their slurred and manically refreshing noise pop bouncing around the skulls of everyone still breathing in the real, uncategorizible fumes of the original new wave. With an already impressive trail of essential releases left behind them, including last year's debut album and an infinitesimal stream of "tour-only" CDRs, the band seems to always be evolving, yet never straying far from the original cacophony that earned them a spot in the hallowed halls of modern punk's elite erratics. And as dynamically diverse as Tyvek's recordings have become, their live set also seems to shift dramatically with each new appearance, ranging from a monstrous five piece to the currently stripped-down four-piece that easily gets the job done without sacrificing any of the intensity or brazen brevity that's earned them their fanatical following. With relentless touring, razor-esque songwriting and the ability to adapt to their surroundings without resistance, it's no wonder why they're so adept at captivating the off-center sounds of bygone-era DIY scrapings and spinning it into gold, all without ever really showing any influence of the Detroit "sound" that's known the world over. 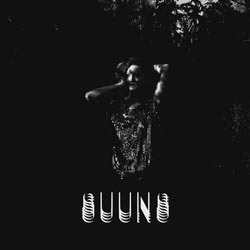 This trait alone deserves massive respect and forges their creativity in a unique light, as pioneers and as individuals who set forth to create their own thing in their own time, and in essence, are clearly executing some of the most exciting sounds in underground music today. Tyvek's In The Red debut, Nothing Fits, is a scalding collection of amped-up and thrust-out songs that crank up the energy level far beyond their previous releases, and decimate the detractors into the abyss. It's Tyvek at their fiery, screaming best, and if this doesn't curl your eyebrows and your toes simultaneously with excitement, then you might need to settle for something musically akin to hospital food or take another laxative, because this blast of new recordings might just flush out your system to the point of personal emergency. 11/18 Cleveland, OH - Now That's Class ! I’m going to be reviewing Suuns new album, Zeroes QC, for No Ripcord. In the meantime, check out their video for “Up Past The Nursery” and read some info if you like the music. Suuns were born during the summer of 2006 when vocalist/guitarist Ben Shemie and guitarist/bassist Joe Yarmush got together to make some beats which evolved into a few songs. The duo were soon joined by drummer Liam O'Neill and bassist/keyboardist Max Henry. "I don't think we were really a 'band' for the first year," Ben surmises. It wasn't until a friend helped them procure a spot at Pop Montreal 2007 that he says the group played their first "real gig." In 2009, Suuns entered Breakglass Studios with Jace Lasek of The Besnard Lakes co-producing. They wanted to create something that couldn't be pigeonholed as simply indie rock. "Jace definitely had a huge impact for bringing to life the big sound of the band and being open and willing stretch out any idea we or he had," Ben explains. The resulting Zeroes QC is a propulsive collusion between pop, post-punk and experimental rock — one that allows the group to musically shapeshift without losing any of the sense of tension and unease that runs throughout the record. Suuns possess a rare trait in rock music: restraint. It's apparent in album opener “Armed For Peace,” which starts like a robot breaking down in a desert; the song's mechanic beat plods like iron-shoed footsteps as the melody of a wheezing synth mirrors the crackling sound of old transistors and circuitry being cooked in the sun. In Arena - recently described by NME as "Metronomy gone Radio 4 via dark Franz" - Ben's rhythmic "What-choo, what-choo"s lead the band's death disco groove into a bloodbath of razor-sharp guitars, while his hushed and icy delivery in "Sweet Nothing" is almost as motorik as the song itself. Today, we are proud to share the first video from Zeroes QC. Worn smooth like a worry stone, Up Past The Nursery is a beguiling song that sweetly kisses your eardrums while speaking of the ominous and uncontrollable. Amid explosive bursts of fire and light, we encounter ghostly spectral versions of the band running through the dark Canadian wilderness, or submerged in crystalline waters, never quite able to break the surface. The clip was directed by Petros Kolyvas and Suuns' own Ben Shemie.